The La Casa Concha is the result of a joint project between Peru and Yale University to return the Inca artifacts to Peru from the Hiram Bingham Expeditions 1909-1915. Peru has been demanding the return of these artifacts for decades and the sides finally came to agreement recently for the museum. 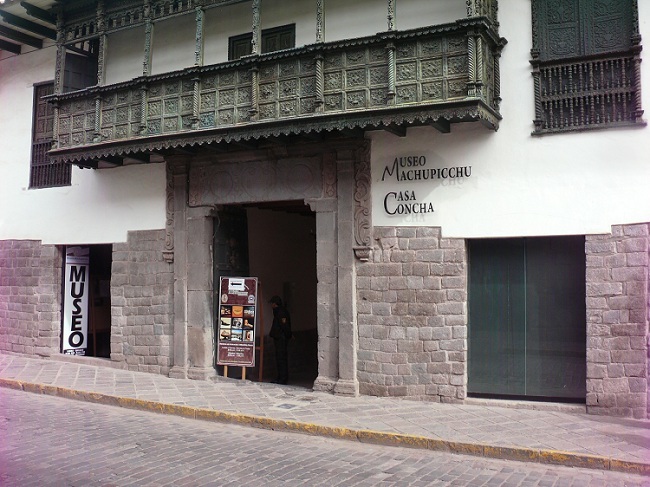 It is located in Cuzco at 320 Santa Catalina Ancha in the historical district and is well worth the visit. La Casa Concha is inside a quaint colonial mansion with the display on two floors. The La Casa Concha is home to nearly four thousand Inca artifacts and is dedicated to the inhabitants of Machu Picchu. There are eleven display rooms each well laid out and quite informative. The scale model of Machu Picchu just inside the entrance will blow you away. The photo display of Hiram Bingham's photos from the original exploration of Machu Picchu are quite impressive as well. If you are making the trip to Machu Picchu and the Inca Valley you will most likely begin your trip in Cuzco. Make sure to check out this museum before heading out. It will give you a fascinating look into the culture and sights you will see as you head onward. Dedicate a couple of hours for La Casa Concha and you will not be disappointed!